Jimmy Victor Scott was a unique, intense and highly emotive vocalist — but not a very lucky guy. He suffered from Kallmann’s syndrome, a condition that stunted his growth and prevented him from going through puberty. He was only four feet eleven inches tall until he was 37 years old, when he shot up eight inches. The disease gave him a high pitched and distinctive voice. Health wasn’t “Little” Jimmy Scott’s only issue. When he was 13, his father was killed by a drunk driver. Still more: Scott was the vocalist on The Lionel Hampton Band 1949 song “Everybody’s Somebody’s Fool,” which was a hit. Instead of getting credit, however, the label only listed a generic “vocalist.” A similar – and even more humiliating – incident occurred later when he sang on Charlie Parker’s recording of “Embraceable You.” Credit was given to female vocalist Chubby Newsome. The bad luck continued. In 1963, Scott recorded “Falling in Love is Wonderful” with Ray Charles. 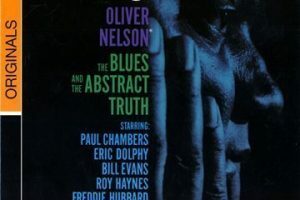 Wikipedia notes that it “is considered by many to be one of the great jazz vocal albums of all time.” However, the record was withdrawn due to a contractual conflict. It finally was released, according to Wikipedia, in 2001 (though Nino Arobelidze says that Charles recorded an organ part over Scott’s vocal and the record was released on the scheduled date). Scott faded into obscurity. He made a comeback – and even that had a bittersweet element. He sang at the funeral of friend Doc Pomus in 1991. Lou Reed and Sire Records’ founder and operator Seymour Stein were there. That led to a rebirth of Scott’s career. He died last June in Las Vegas. Above is “Sometimes I Feel Like a Motherless Child” and below is “Time After Time.” The second song includes a short interview with Scott that is very telling. Wikipedia was cited in this post. Check out a post and a podcast with Nino Arobelidze.